One of the bigger names out there on the market (sort of) is Milwaukee Brewers overweight first baseman Prince Fielder. He’s one of the best sluggers in all of baseball, so one would think that the Brewers will do everything they can to keep him. However, he’s supposedly looking for something in the neighborhood of $200 million over eight years. Good luck with that. But, Andy McCalvy of MLB.com tells us that the Brewers will offer Fielder arbitration. “#Brewers just made moves official: Offered arbitration to Prince Fielder and Francisco Rodriguez, declined on Yuniesky Betancourt,” he tweets. Fielder is a Type A free agent and will yield two draft picks in return when someone else signs him. Prince Fielder to Leave the Brewers Next Season? Dodgers and Brewers Discussing Prince Fielder Trade? 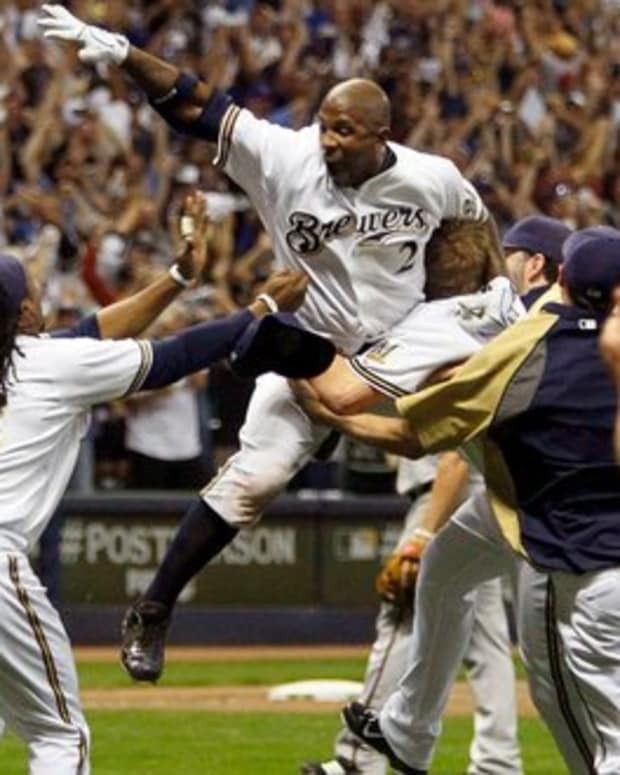 Are the Milwaukee Brewers Still MLB's Best Team?